Capsring PR 1311 prevents vitreous herniation and maintain the circular contour of the capsular bag. Capsring also tend to reduce intraocular lens de-centralization, which improves vision and gives additional support to the IOL. They may also inhibit epithelial cell proliferation, thus reducing the chances of capsule opacification. PMMA-CQ with UV filter Clear and Blue colors available. 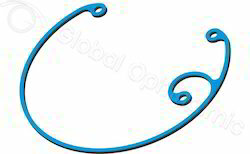 Advanced Capsular tension rings are single or double fixation hooks with step vaulted, specially designed for scleral fixation with suture. Capsring PR 1109 prevents vitreous herniation and maintain the circular contour of the capsular bag. Capsring also tend to reduce intraocular lens de-centralization, which improves vision and gives additional support to the IOL. They may also inhibit epithelial cell proliferation, thus reducing the chances of capsule opacification. Capsring PR 1210 prevents vitreous herniation and maintain the circular contour of the capsular bag. Capsring also tend to reduce intraocular lens de-centralization, which improves vision and gives additional support to the IOL. They may also inhibit epithelial cell proliferation, thus reducing the chances of capsule opacification. Capsring PR 1412 prevents vitreous herniation and maintain the circular contour of the capsular bag. Capsring also tend to reduce intraocular lens de-centralization, which improves vision and gives additional support to the IOL. They may also inhibit epithelial cell proliferation, thus reducing the chances of capsule opacification. Capsring PR 1210L prevents vitreous herniation and maintain the circular contour of the capsular bag. Capsring also tend to reduce intraocular lens de-centralization, which improves vision and gives additional support to the IOL. They may also inhibit epithelial cell proliferation, thus reducing the chances of capsule opacification. Capsring PR 1311L prevents vitreous herniation and maintain the circular contour of the capsular bag. Capsring also tend to reduce intraocular lens de-centralization, which improves vision and gives additional support to the IOL. They may also inhibit epithelial cell proliferation, thus reducing the chances of capsule opacification. Capsring PR 1210R prevents vitreous herniation and maintain the circular contour of the capsular bag. Capsring also tend to reduce intraocular lens de-centralization, which improves vision and gives additional support to the IOL. They may also inhibit epithelial cell proliferation, thus reducing the chances of capsule opacification. Capsring PR 1311R prevents vitreous herniation and maintain the circular contour of the capsular bag. Capsring also tend to reduce intraocular lens de-centralization, which improves vision and gives additional support to the IOL. They may also inhibit epithelial cell proliferation, thus reducing the chances of capsule opacification. 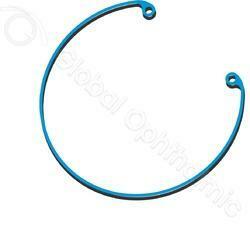 Capsring PR 1210LR prevents vitreous herniation and maintain the circular contour of the capsular bag. Capsring also tend to reduce intraocular lens de-centralization, which improves vision and gives additional support to the IOL. They may also inhibit epithelial cell proliferation, thus reducing the chances of capsule opacification. Capsring PR 1311LR prevents vitreous herniation and maintain the circular contour of the capsular bag. Capsring also tend to reduce intraocular lens de-centralization, which improves vision and gives additional support to the IOL. They may also inhibit epithelial cell proliferation, thus reducing the chances of capsule opacification. Looking for Capsular Ring ?